Freestyle Football Workshops is the UK's only School Workshop company which specifically offers Freestyle Football Workshops. Freestyle Football has exploded in popularity over the past few years and there is now not only a demand amongst young people to experience Freestyle Football but also a desire to learn the fundamentals of this exciting new sport. 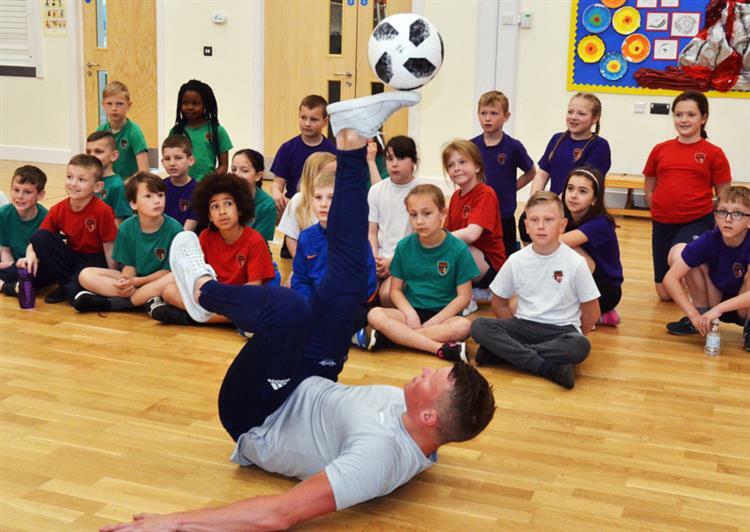 With this in mind, one of the world’s top Professional Football Freestylers, Jamie Knight set up Freestyle Football Workshops in late 2016 with the aim to teach kids the fundamentals of Freestyle, whilst using it as a tool to live a healthy lifestyle. We offer Half-Day and Full-Day Freestyle workshops for schools up and down the UK as well as assembly performances & presentations on Freestyle Football. Our Freestylers have full DBS/CRB checks and are highly experienced coaches & performers. Getting started in Freestyle requires no expensive membership fees, no fancy equipment - all you need is a ball. Freestyle Football can dramatically build core fundamental skills that are useful in all aspects of life. We are passionate about promoting a healthy active lifestyle amongst young people all through the use of a football! There are many physical health benefits practising Freestyle Football can give to your pupils including : increased body awareness, enhanced co-ordination & rhythm and also improved agility & balance. Practising Freestyle Football quite simply helps improve your mental health - a topic of great importance for schools nowadays. Our workshops will help increase the self-confidence of your pupils, allow them to build stronger peer relationships, enhance their concentration and teach them new ways of co-operating with each other. Freestyle Football enhances your creativity and will allow your pupils’ imagination to flourish. Our workshops will help teach your pupils to understand the importance of consistency and being persistent - Freestyle Football helps develop a drive to achieve personal goals and makes you adopt a practice makes perfect attitude which your pupils can take with them into other areas of their life. SCL Education Through Sport - a company who specialise in running Holiday Camps for kids across London/Surrey have been using Freestyle Football Workshops since the beginning of 2017. 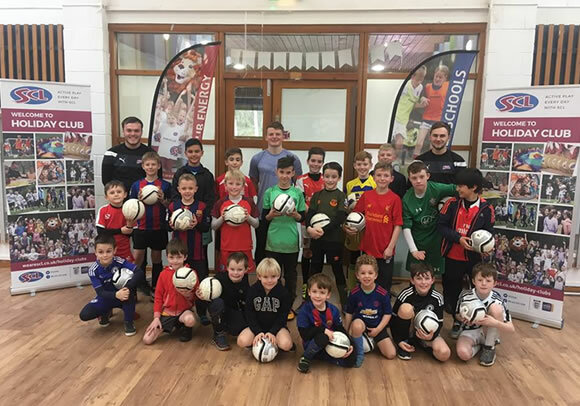 Since our first workshop together, our Freestyle Workshops have gone to over 40 different holiday camp / school venues and over 2000 kids have been introduced to the sport of Freestyle Football. Football Escapes specialise in running football courses at exotic 5 star hotels around the world with current & ex professional footballers. They have first started using Freestyle Football Workshops at their Dubai football course at the Four Seasons Hotel. 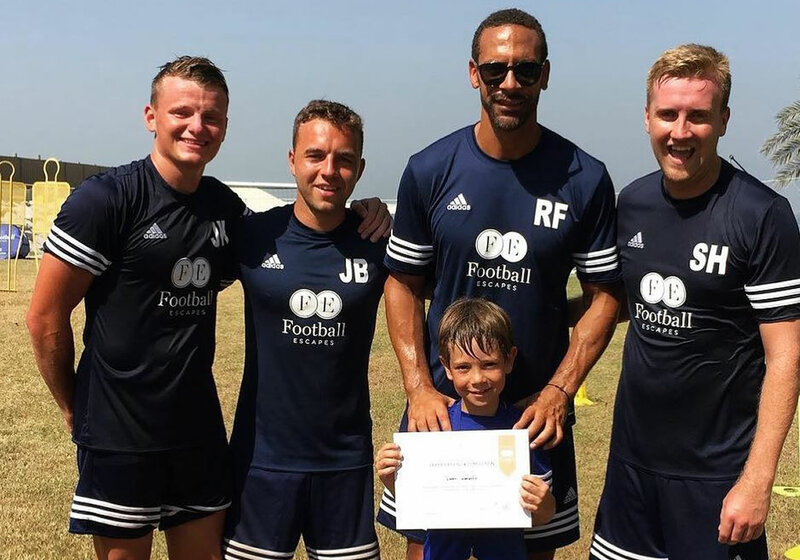 Our Freestyler Jamie Knight was flown out to Dubai to teach Freestyle to the kids alongisde footballing legends Rio Ferdinand, Eiður Guðjohnsen and Bobby Zamora! They are planning on using our workshops at some of their 2018 locations including Dubai, Maldives & Portugal.